Google has been working to bring more and more functionality directly into search results, without the user having to visit a separate site. You can now find your IP address, run a speed test, convert units, and more all from Search. 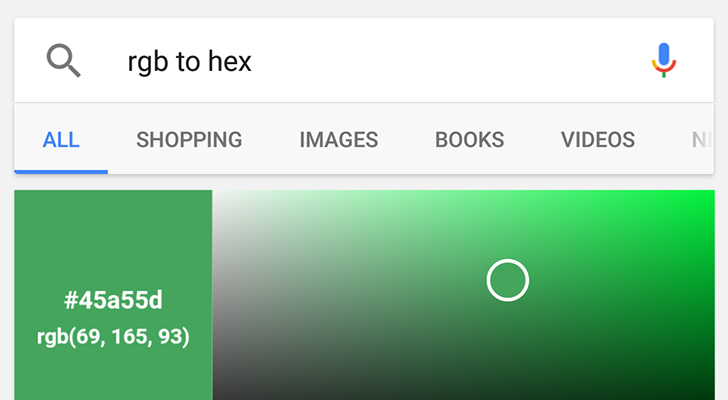 Following that trend, now Google has added an RGB to Hex converter. If you're unfamiliar, RGB and Hex are both color spaces used to identify colors. For example, #000000 in Hex and (0,0,0) in RGB both refer to Black. 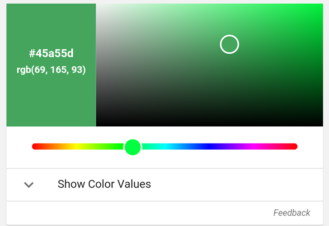 Searching 'RGB to Hex' brings up a simple color picker that shows results in RGB and Hex. You can search any Hex or RGB value, and it will show the color in both formats. For example, rgb(0,0,0) and #000000 show the same result.